Have you ever thought about biking through PARIS? Well, I never have until I read an article about bike companies that take you through the winding streets of Paris at night and in the early morning. Ummm. I pick night. Paris would be beautiful at night with all the lights glittering, and the eiffel making it's sparkly statement. I can just imagine biking my way through the little streets and looking in the cafes as people laugh, eat and drink and all this under the starry night. 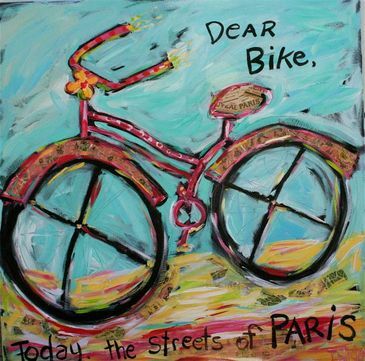 So, next time in France.. there should be a new "to do": Bike Paris!